If you have any questions about the Karia information page below please contact us. Motor yacht Karia is a 45m luxury displacement vessel built by the Turkish shipyard RMK Marine and launched in 2011. 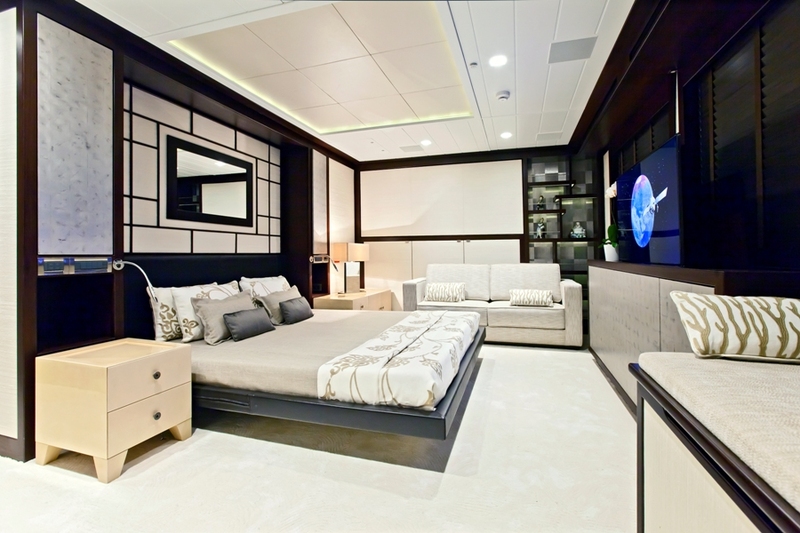 Designed for long distance voyaging, Karia superyacht´s elegant exterior is by world-renowned Ron Holland, while her stunning and spacious interior by the well-known Design Unlimited studio. 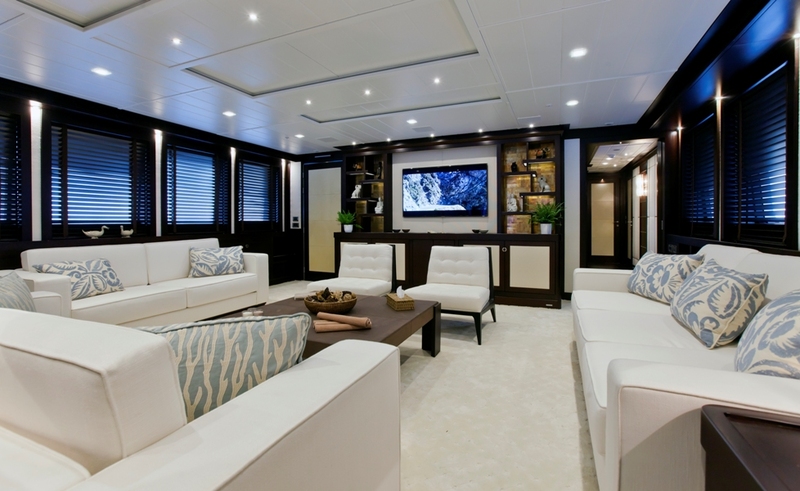 Luxury yacht Karia offers accommodation to up to 12 guests. 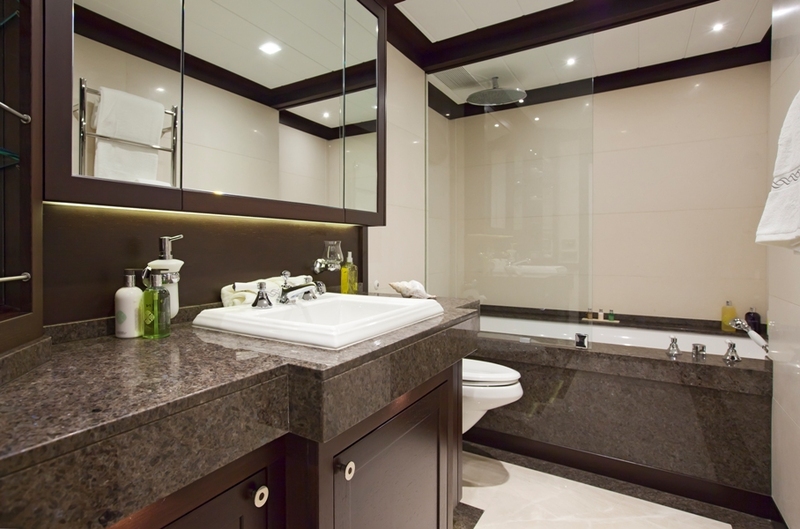 The spacious master deck provides plenty of privacy. 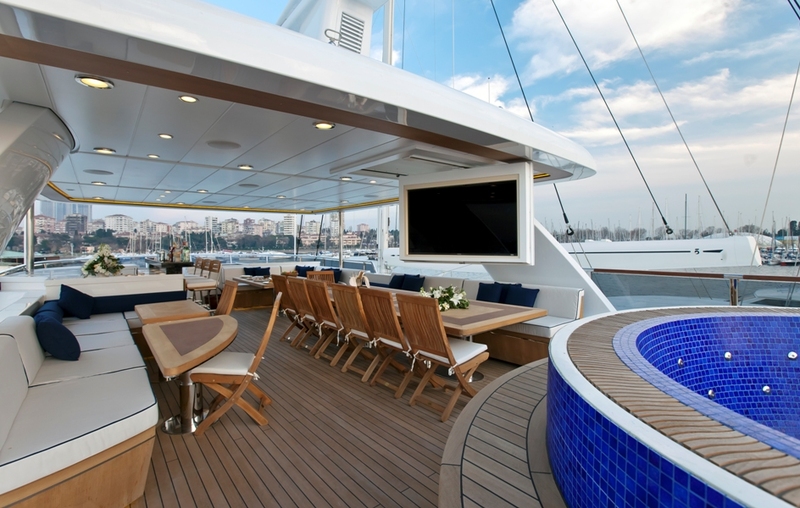 There is a swimming platform aft and two yacht tenders stored under the foredeck. 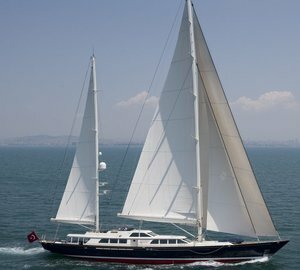 The 148´ super yacht Karia boasts a beam of 9.2m (30´) and a draft of 2.6m (8´50´´). She is powered by twin CAT C32 1300 HP diesels, giving her a top speed of 14 knots and a cruising speed of 12,5 knots. 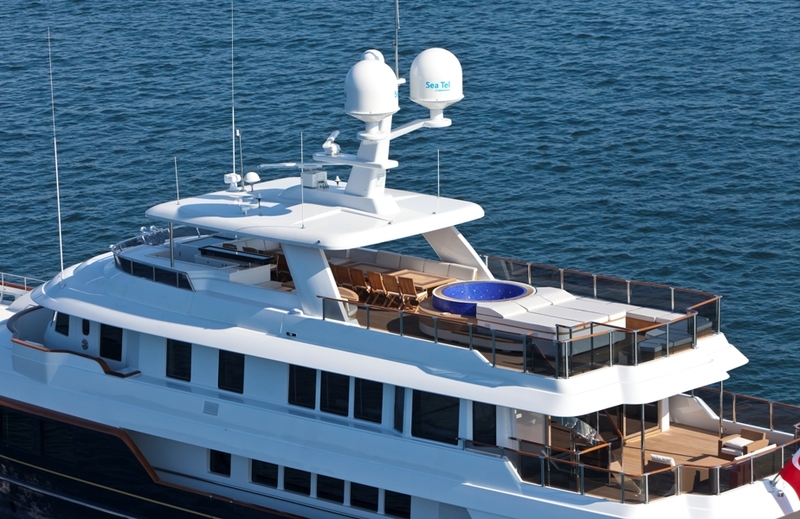 RMK45 super yacht Karia accommodates up to 12 guests. 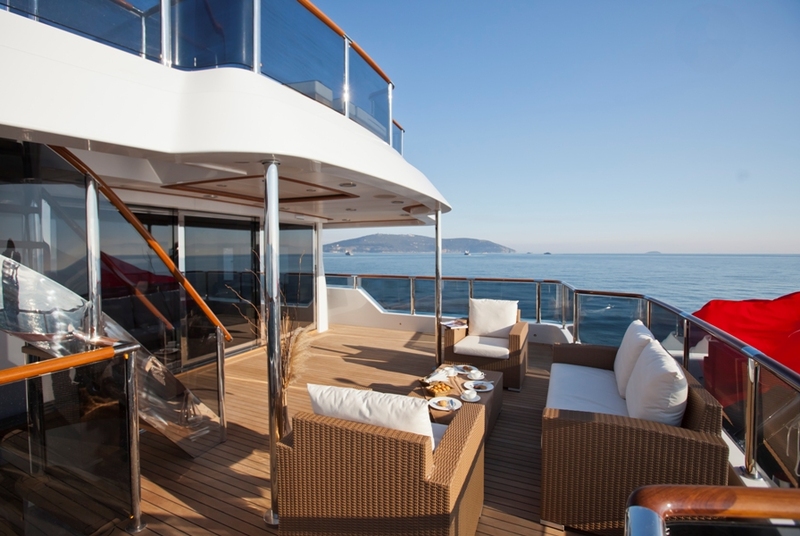 The spacious master deck provides plenty of privacy. 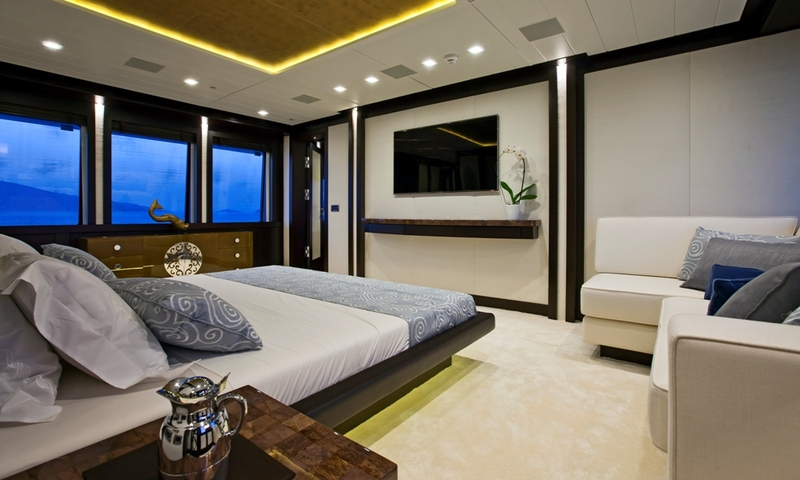 There is a swimming platform aft and two yacht tenders stored under the foredeck. 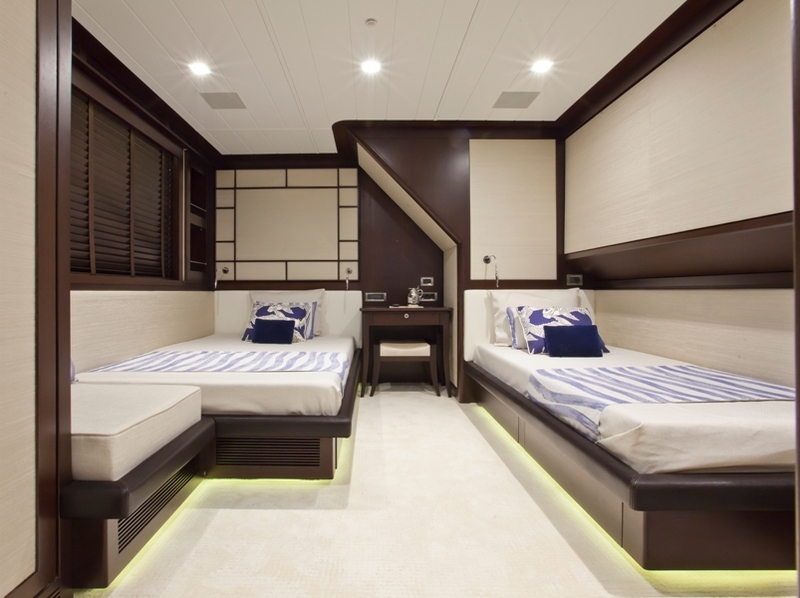 There are two yacht tenders stored under the foredeck. 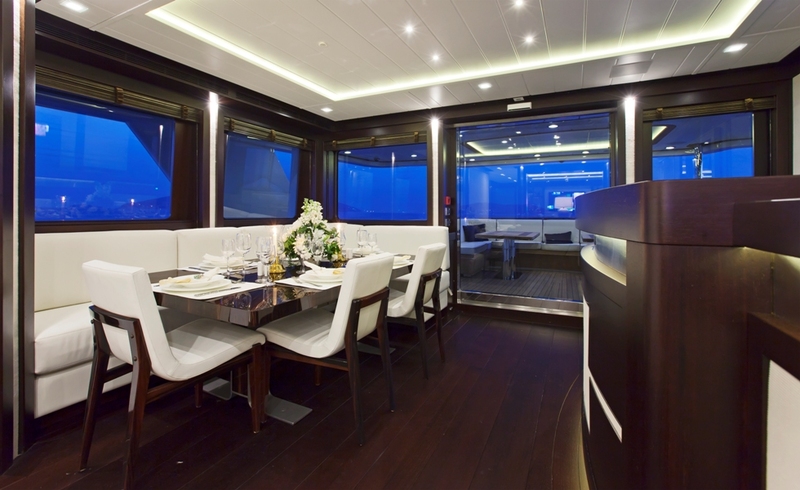 The luxury yacht Karia displayed on this page is merely informational and she is not necessarily available for yacht charter or for sale, nor is she represented or marketed in anyway by CharterWorld. This web page and the superyacht information contained herein is not contractual. All yacht specifications and informations are displayed in good faith but CharterWorld does not warrant or assume any legal liability or responsibility for the current accuracy, completeness, validity, or usefulness of any superyacht information and/or images displayed. All boat information is subject to change without prior notice and may not be current.